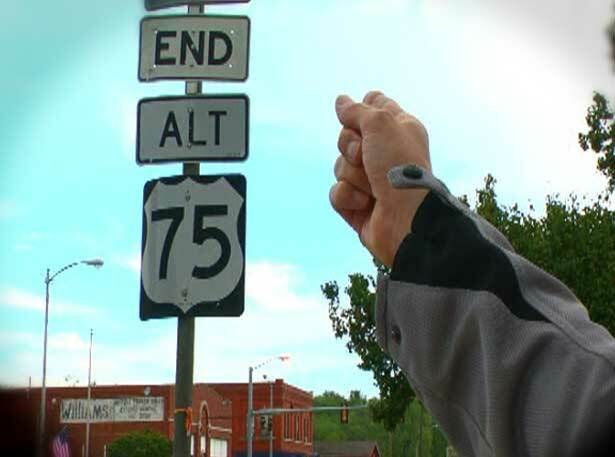 Alternate 75 is the first new episode of Two Wheel Oklahoma produced in 2011. It had been a year since we had shot any video so we decided to stay close to home. When I suggested we explore US-75 towards Okmulgee the response was a collective yawn. This highway is not typically known for its scenic beauty or sweeping curves. Most of the way through Oklahoma it's pretty darn straight. Especially the section between Tulsa and Okmulgee. In fact, it's called the "Beeline" by the locals due to its boringly linear track. But what most people don't realize is the old highway is still alive and kicking. It's even an officially recognized Federal highway between Sapulpa and Beggs- and if you keep your eyes peeled you can make it all the way to Okmulgee on old highway 75. US-75 spans the entire length of Oklahoma- from north to south. Like most highways it passes through small towns along the way, often following along the nearby railroad. The road to Okmulgee from Tulsa followed this same pattern and passed through Sapulpa, Keifer, Mounds and Preston.Then in 1959 a new section was opened which took travelers on an arrow-straight route located about 3 miles east of these small communities. The Okmulgee Beeline was born. With the opening of the Beeline the old route may have been less traveled, but it was not forgotten. It was designated as "US 75 Alternate" and new signs replaced the normal US-75 shield. Officially it is 30 miles long and stretches from the Turner Turnpike gate in Tulsa south to the OK-16 junction near Beggs. Along the route it seems there is no standardized way of marking this alternate road- we saw everything from signs with "75A" to small "alternate" signs tacked below the typical US highway marker. Over the years I've grown fond of calling it "Alt 75." Mostly because it's short. Then Jackie told me the German word for old is alt. Of course I nodded and pretended I'd known that all along. Shhhh. Beggs: 75 Alternate heads east along with OK-16. If you fall for this you'll join the Beeline, but that's no fun. Continue due south from Beggs and you'll be on the old road. Preston: It's easy to miss this one, and not because Preston is such a metropolis. The old route is just hard to see here. Watch for the road the bends to the south just past the post office and you'll be headed to Okmulgee. 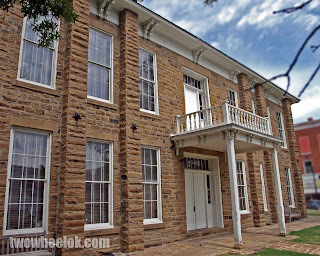 Okmulgee has been the headquarters of the Creek Nation since the Civil War. This area is where the Muscogee indians settled in the 1830s after their forced removal from their homes in the Southeast. The springs they found here they called “bubbling water” or okmulgee in the Creek language. 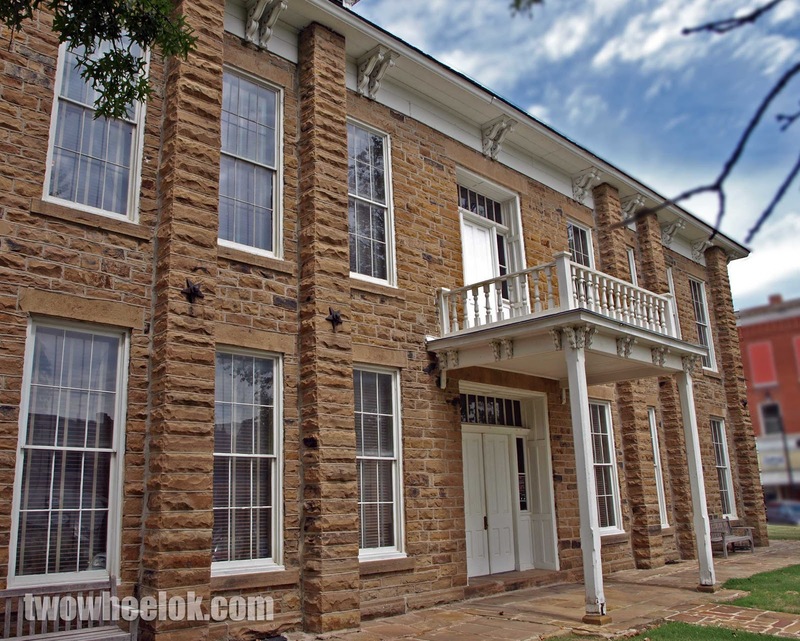 The Creek Council House was built in 1867 and occupies the central square in Okmulgee. The sandstone building has suffered a long and confusing history. In 1907 Oklahoma became a state and the tribe lost possession of the property. Over the ensuing years the city has used the Council House for various purposes- everything from the sheriff’s office to a YMCA. One Okmulgee mayor even suggested having it demolished as an eyesore. The future of the Council House became so uncertain in the Twenties that Will Rogers paid Okmulgee a visit to urge citizens to preserve the historic building. In 2010 the Muscogee (Creek) Nation finally bought the building back. Today the Creek Council House is a museum and listed on the National Register of Historic Places. The museum is open Tuesday through Saturday and admission is free. After a visit to the museum, a hearty lunch at Ike's Pub & Eatery and dessert at Coleman's we headed west from downtown on State Highway 56. Just a few miles up the road are two state parks connected by two bodies of water on Salt Creek. Okmulgee Lake and Dripping Springs were built by the WPA and operated by the city of Okmulgee until being transferred to the state park system. The rock spillway is a landmark on OK-56 and can thrill passersby with an impressive waterfall after a heavy rain. Our record-breaking heatwave this Summer left the spillway dry for the first time I can recall. Recreation at Okmulgee State Park includes nature trails, swimming, fishing and a boat ramp. Dripping Springs adds tent camping areas and RV hookups to the list along with 1150 acres of water. These twin parks offer a great getaway for an hour or a weekend. Keep heading west on 56 if you’d like to visit Woody Guthrie’s hometown, Okemah. But that's a story for another episode. We live in Bixby off of 161st, so we take that ride quite often going down 151st into Keifer, then hopping onto old 75. 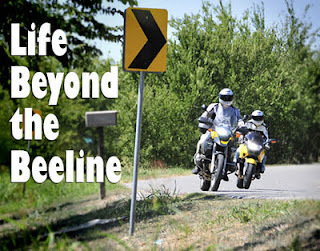 The road is great with nice curves and usually little traffic. We almost always end up at the Dairy Queen in Okmulgee for ice cream. I lived in Okmulgee for two years in the 80's. I've traveled that road to Sapulpa many times! I always took it all the way from Okmulgee through Preston and through Beggs. Never on a bike yet, but that will change next warm day!